When I visited the Utah National Parks in April with the nXnw crew, we stayed in Moab, Utah. While there, I was introduced to The Moab Brewery, a local craft beer/microbrewery. When I got home, I wondered if there were any small breweries located in Queens? I knew that the microbrewery scene had developed in New York, but hadn’t heard of anything specifically in Queens. A bit of web research revealed that there were a handful of small breweries now operating in Queens, some so small that they are considered nano-breweries rather than even being large enough to be “micro.” I also discovered that this was a very recent phenomenon had I searched even 18 months ago I would not have found any. Being so small, these operations do not sell their product in stores. 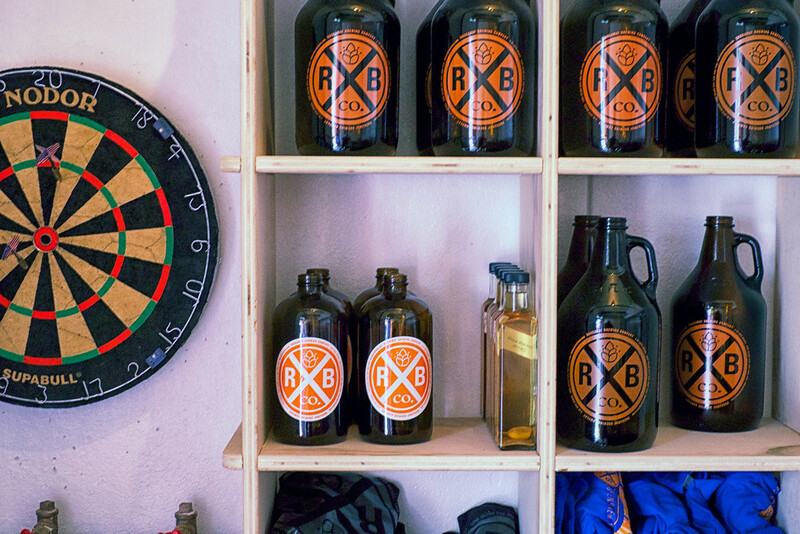 Instead, they only supply bars and restaurants, and sell “Growlers,”* usually right on the site of their brewery. Last Saturday I visited the first of these new breweries to have opened, The Rockaway Brewing Company. Their home page is at the link and they also have a blog here. It seems they opened in Rockaway in June 2012. They moved to Long Island City about 8 months ago but kept the Rockaway name. As best as anyone can tell, they are the first commercial brewery to open and operate in Queens since Prohibition. During my visit I was given a brief tour of their brewing facility and had a nice chat with Flynn/Flint[? ], the employee who was minding both the Growler room and the brewing operations that day. I came home with a t-shirt and a small 32 ounce Growler of their IPA brew, which I have very much enjoyed. I plan to visit the other Queens breweries over the coming weekends this summer. * A Growler is a 64 or 32 ounce bottle used to sell craft beer directly from the maker. I saw this beer available at the Governors Ball music festival over the weekend. I was looking forward to trying it out, so I’m glad to hear that you enjoyed yours! Hey Tobias! You should definitely try some when you get a chance. Awesome shot and an awesome find, Mark! Did you “sample their wares?” I’m always intrigued by micro- or nano-brews as they often have a bit more room for creativity. I definitely sampled their production. They were offering samples of two bres, and IPA and an ESB (check their website for details) and I bought a growler of the IPA.